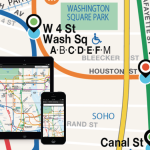 If you ride the New York City subway you likely have some type of app installed on your smart phone that provides a map of the underground system or calculates the time to the next train. And it’s just as likely that your app doesn’t have a feature for accessibility. 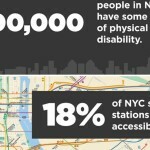 For those who cannot push through a crowd on the stairs or bolt up the left side of the escalator, the subway is extremely hard to navigate and oftentimes quite useless, as only 18% of stations have accessible elevators. 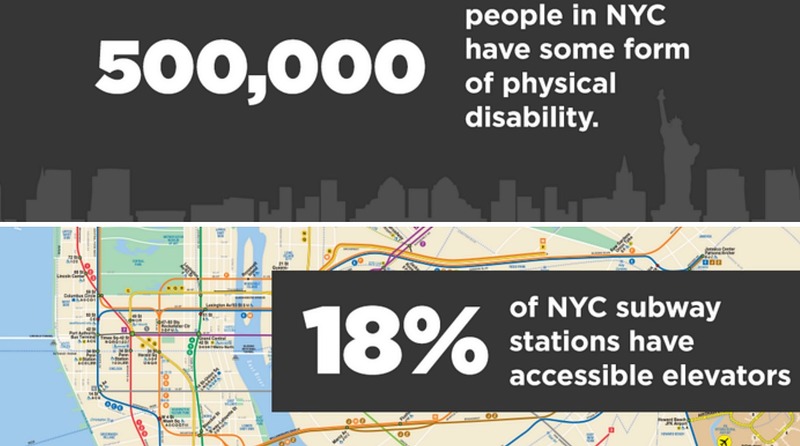 To address this major flaw in our mass transit system, Anthony Driscoll developed a new app called Wheely, which helps those with accessibility needs (wheelchair users, the elderly, parents with strollers, injured people, etc.) 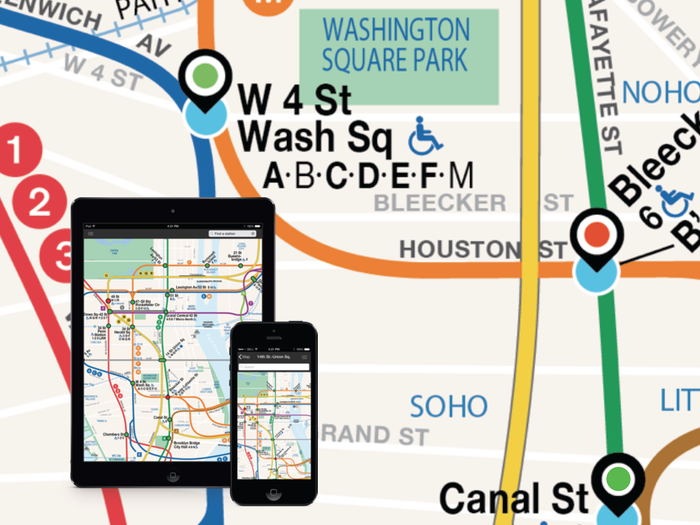 better navigate the subway. Anthony Driscoll came up with the idea for Wheely based on personal experience. His father was diagnosed with MS in 2001 and uses a power wheelchair. 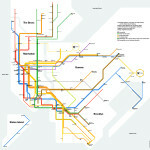 When Anthony moved to the city to attend Parsons, his family found how challenging it is to utilize the subway system–it’s hard to decipher accessible stations on maps, and sometimes elevators are out of service with no alert. 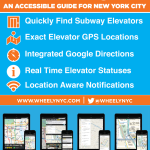 Wheely provides a visual map that shows accessible stations, and it uses real-time status updates to track if elevators are in operation. The app also features a GPS tracking tool that helps users navigate to the exact location of elevators. Driscoll is raising funding for the app through Kickstarter. At the time this article was published, he had raised $6,963, exceeding his $5,000 goal, but this only covers the cost for an iOS app. 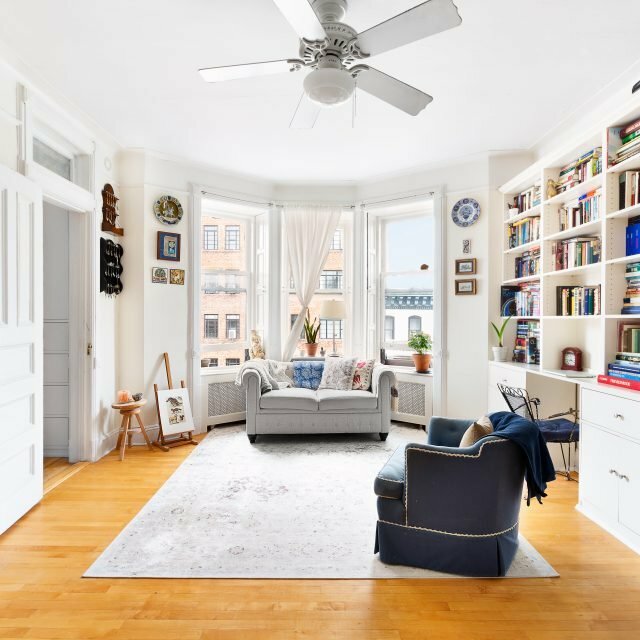 If he can meet a stretch goal of $10,500, the app will be made available for Windows and Android platforms. The campaign runs through Thursday, August 21. Learn more about the app in an interview with Driscoll in the video above.